(Wednesday August 14, 2012) Lebanon Development Union (LDU) in collaboration with Microsoft Corporation and the Youth and Culture Center – Zouk Mikaël, graduated today, the fourth class of the Microsoft Corporate Citizenship: Community Technical Skills Program: Unlimited Potential, in presence of Mukhtara Josiane Khalil, President of the League of Mukhtars of Kesserwan-Ftouh, Eliane Fersan, Director of the Youth and Culture Center – Zouk Mikael, the trainees, as well as local community representatives. A large number of women were trained in this intensive three-months-course on the basics of the Microsoft Office Programs that help them develop their skills by using information technology both at work and at home. This program is one of many women’s empowerment programs organized by LDU aimed at increasing women’s role in their local communities and societies. During the graduation ceremony held at the Youth and Culture Center, a Zouk Mikaël municipal initiative, Crystel El Chayeb, Secretary General of LDU, focused on the importance of the certificate that the participants received from Microsoft and the seriousness of the program which was developed by the corporation in a way that suits persons who don’t master the English language and those who don’t have an academic background. “This program will give them the opportunity to step into the world of information technology and learn to use it in both their personal and professional lives”, she added. Believing in the importance of building women’s skills and qualifications, LDU launched the first training session of this program in 2010, and it continues to attract beneficiaries from all over Kesserwan, she continued. ”The first objective of this program is to create jobs and empower the trainees inside the organizations they are already working for,” said El Chayeb who thanked Microsoft for its support, which made these training sessions possible and opened new horizons to the beneficiaries. She then distributed the certificates. The participants presented their testimonies and highlighted the changes this program has brought into their personal and professional lives in addition to the networking opportunity in presented them, and asked LDU to organize more economic empowerment programs. 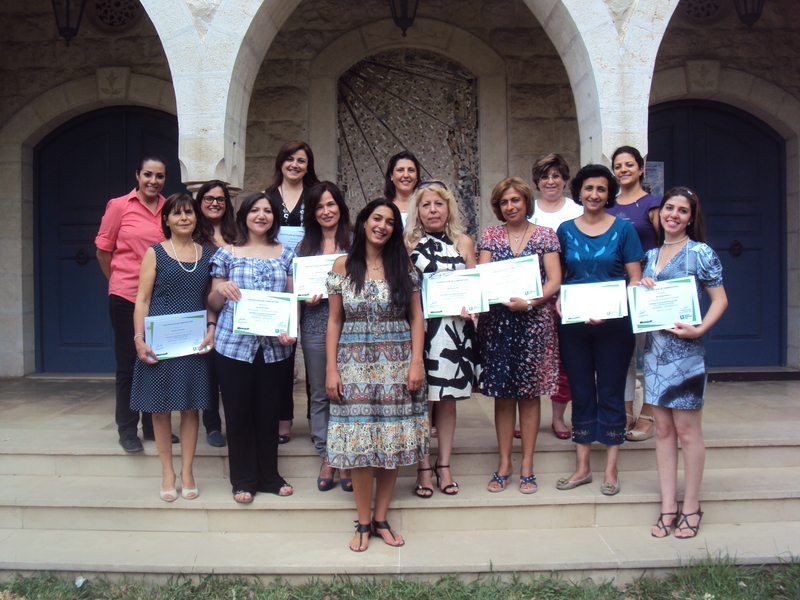 Participant Nohad Safi said “this program broadened my involvement in the social work and connected me with other women who also are seeking to develop their skills”. 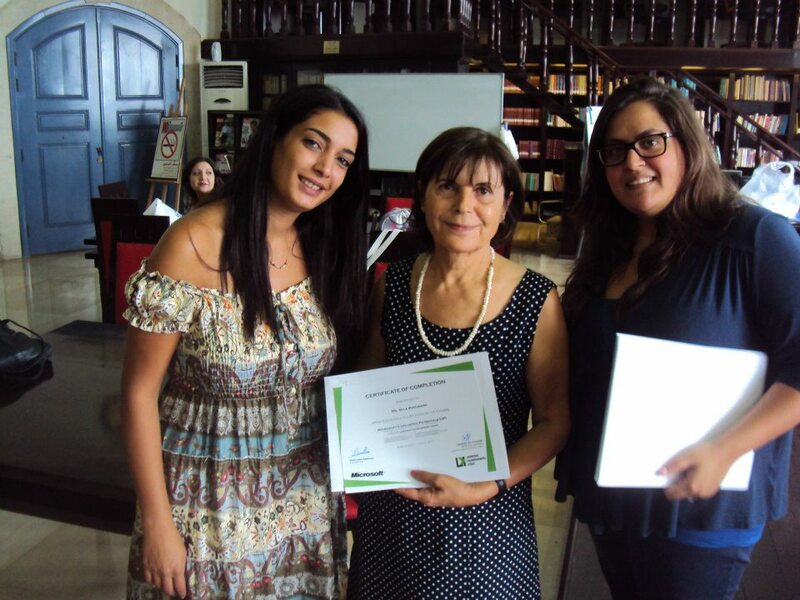 Participant Therese Rizkallah, noted that graduating from this program made her more self-confident and able to use her acquired skills in a way that brought her closer to her children.